Public service officers who have served for more than thirty years were recognized today. The ceremony was held in Belize City as part of a week of activities leading up to Public Service Day on June 23. The theme this year is “The Belize Public Service – Moving towards the future with Innovation, Dedication, and Perseverance.” According to the Ministry’s C.E.O., Dr. Peter Allen, this year marks the implementation of the ‘Recognition and Meritorious Award Policy’ for the Belize Public Service. Dr. Peter Allen C.E.O Ministry of Public Service: Public officers do a tremendous job, we’re aware that we can do better and we are always looking for ways to encourage innovation to encourage dedication with the public service and one way to do that is by recognizing that excellence so this year the Minster was successful in steering a new policy through cabinet, That policy provides a budget whereby our unit, our quality assurance and customer service unit can provide recognition for those who have provided 15 years of service 20, 25, 30 and up to 35+ year of service. Hipolito Novelo: What should that award, that piece of paper, maybe it be a plaque or what have you, what should that award mean to the public officer or what after the ceremony today what sort of thinking should they have when they go home? Dr. Peter Allen C.E.O Ministry of Public Service: Well I think that it should mean as it will to me with 3 decades of recognition: a certain pride in our achievement, a certain pride in the work that we do and a commitment that we will do our best to demonstrate to other public officers how we can all aspire to better things. 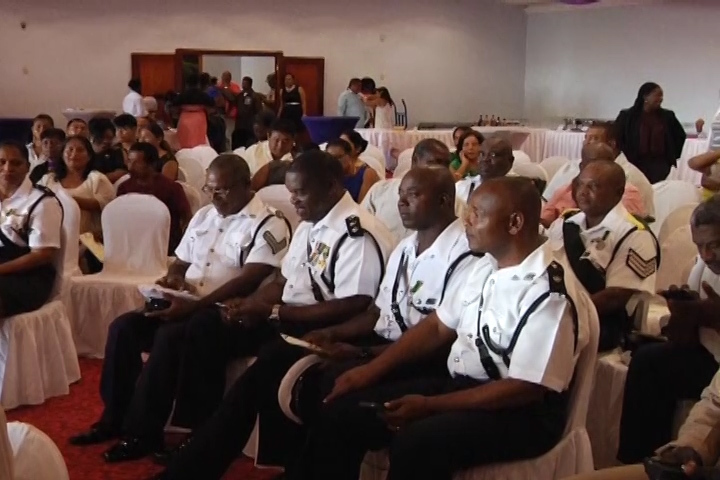 Public service officers who have served for twenty five years will be recognized during a similar ceremony next week in San Ignacio Town.